Cornwall Building Control Ltd is an established Approved Inspector operating throughout Cornwall via their office based at Long Rock near Penzance. Cornwall Building Control Ltd was formed in 2012 by Jason Pearce and Paul Read formally of Cornwall Council to provide the Building Control service for both domestic and commercial projects as an alternative to the function provided by the Local Authority. Cornwall Building Control Ltd was established with the sole aim of providing an accessible client-focused service for the benefit of the designer, client and contractor with a dedicated qualified surveyor assigned to each project from commencement through to completion. Provide services and/or fittings in a building such as washing and sanitary facilities, hot water cylinders, foul water and rainwater drainage, replacement windows, and fuel-burning appliances of any type. They may also apply to certain changes of use of an existing building. This is because the change of use may result in the building as a whole no longer complying with the requirements which will apply to its new type of use, and so having to be upgraded to meet additional requirements specified in the regulations for which building work may also be required. Paul Read MRICS is a Chartered Surveyor with nearly 25 years Building Control experience gained through a career which includes employment in both the public and private sectors where he has gained a wealth of experience and knowledge of construction methods and the cost-effective application of the Building Control function. 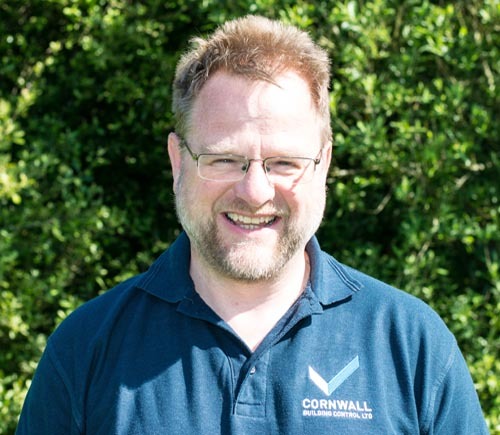 Paul is a Director of Cornwall Building Control Ltd and is the Surveyor responsible for the West Cornwall Area. Paul was educated at Cornwall and Exeter Colleges and became a member of the Royal Institution of Chartered Surveyors in 2001. Paul has worked as a Building Control Surveyor for Penwith District Council, Carrick District Council, and The Council of The Isles of Scilly, Cornwall Council and Complete Building Control Ltd.
Paul also has private sector experience and was previously employed as a Building Surveyor for Stratton & Holborow. Penny joined Cornwall building control in 2013 and has helped oversee the growth of the business ensuring all administration and support duties are covered. She helps ensure clients enquiries are dealt with quickly and efficiently. 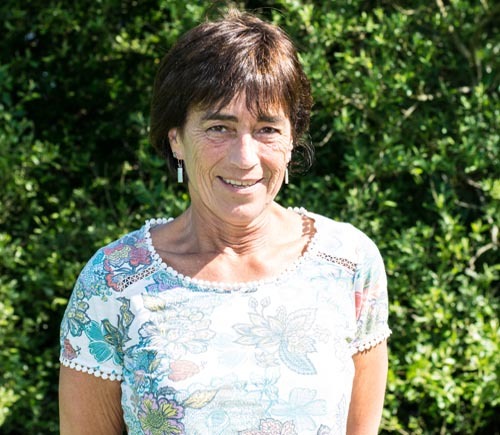 Penny previously worked for Cornwall Council for over 10 years in a similar role. Penny enjoys baking and dog walking in her spare time. She can also be found at the gym keeping fit. Jason Pearce MRICS is a Chartered Surveyor with nearly 25 years Building Control experience. Jason’s career has included Building Control Surveyor positions at Kerrier District Council, Carrick District Council, Penwith District, Council Cornwall Council and also a consultant position with Complete Building Control ltd. 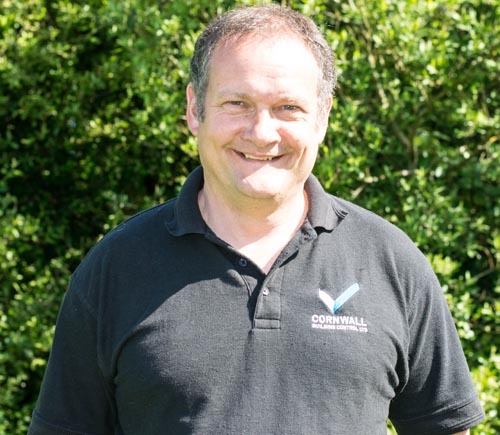 In 2012 Jason formed Cornwall Building Control Ltd with Paul Read and now operates as an Independent Approved Inspector. Jason is a Director of Cornwall Building Control Ltd and is jointly responsible for the Central and Eastern areas of Cornwall. Jason was educated at St Ives Comprehensive School, Cornwall and Exeter Colleges and has been a member of the Royal Institute of Chartered Surveyors (RICS) since 2001. Outside of work Jason is a keen badminton player and tries very hard to play golf. Jason can also be found regularly sampling the many fine restaurants and pubs in and around St Ives. Phil Rowse ICIOB has over 16 years of experience within Building Control and over 35 years of varied experience within the construction industry having worked on small and large domestic and commercial construction sites and civil engineering projects in Cornwall and the East Midlands. After finishing with Mowlem Construction (E.Thomas) as a senior site engineer in 1999 he spent two years in Estates Management at Cornwall College before moving to Carrick District Council as a Technical Assistant and progressing towards the Building Control Surveyor status he holds today. 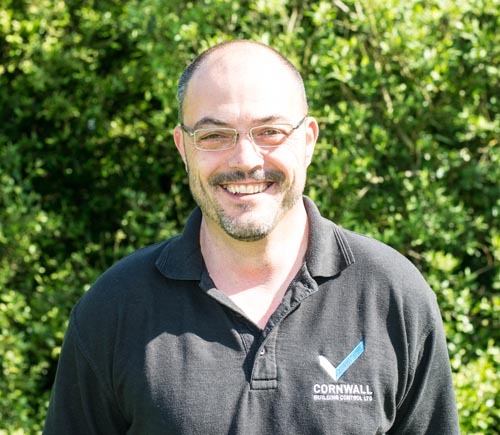 Phil moved to CBC Ltd in May 2016 after 10 years with Energy Access Ltd and BBS Building Control in Cornwall, broadening his knowledge under Part L by becoming an accredited commercial energy assessor in addition to continuing with Building Regulations plan checking and site inspection. Phil has ICIOB status having obtained an advanced diploma in Construction Management in the early 1990’s at Trent Polytechnic. He is looking to return to seeking full membership if the CIOB as soon as any spare time allows. Outside of work Phil enjoys swimming and has raised money for various charities at open water events within the region. He is also the proud father of two daughters who he tries to look after before it’s the other way around.